Growing up in Texas you know full well about the “Blue Laws.” Some of you may be wondering what in the world are Blue Laws. Texas, among many other States, implemented laws way back when for “the benefit of the family” to take a necessary day of rest every Sunday. That means it was illegal for particular stores, including liquor stores, to open their doors on Sundays (which I find amusing since Texas does allow drive-thru liquor stores every other day of the week but that’s an entirely different story). The Blue Laws were officially repealed in 1985, though even today you can’t purchase hard alcohol in grocery stores, you can’t purchase hard alcohol on Sundays and you have to wait until after noon to purchase beer and wine. Also, car dealership must remain closed on Sundays for some reason, though I really don’t know why that still matters. I was reminded of the Blue Laws this past Sunday when I was walking through DTLA looking for something open before 10am that would feed me. Bodegas, coffee shops, and convenience stores are never open early, which is completely frustrating for those of us who are early risers. I get it. You have catered to the partying crowd the night before staying open until 1am or 2am to quell those late night munchies while people stumble to their cars or taxis (hopefully more taxis than cars please). But sometimes being able to grab a cup of coffee when I wake up at the ungodly hour of 7am on a Sunday would make my day so much better. How I feel pretty much every day. And so it came to be that I found myself in front of the Stray Cat Café for the first time. It’s an establishment that I’ve refused to patronize during my entire time in DTLA. Why, you might ask? Oh, you know, a political statement about unfair treatment of small business owners with the unceremonious closing of The Must by the individual who owned those retail units. Since the opening of Perch, my stance has softened quite a bit. Though I still can’t bring myself to return to Onyx simply because I don’t get it. Is there a theme? Is there a purpose? No? Well, OK then. 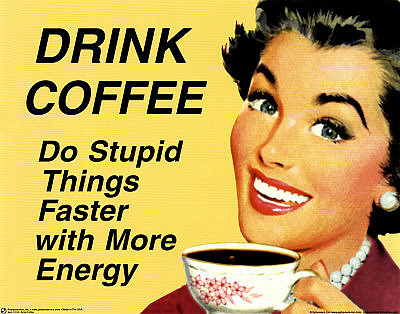 And, p.s., I’ve been told that your coffee needs some serious work. For my first visit to Stray Cat, I was pleasantly surprised. Though the croissant sandwich advertised an odd spicy cream cheese condiment, the server was rather nice and seemed to completely understand when I asked for avocado instead. “Avocado is only the best substitute for mayo and…I guess cream cheese now…and should be included in more of your dishes,” I mentioned to her before she returned with a small cup of coffee (my one bit of caffeine I’m allotted in a day). Now, I realize how silly it is to complain about the lack of early morning dining options when the only people in the restaurant at 8:45am were my roommate and I and a couple on the other side. But I’m sure the same “Field of Dreams idea” would work here: If you open, they will come. And had I not entered the Stray Cat Café on this fateful morning, I would have missed meeting Professor Kershaw, or so he called himself. Professor Kershaw is a gentleman who looks like he’s well into his 60s carting around a large backpack and wearing an almost cowboy hat (almost because it was not traditional by any means but I mistook it for a cowboy hat when I initially glanced his way). Professor Kershaw entered the building asking the server “do you know where the Taco House is? I’ve been told they have the best tacos on Spring St. “No,” both the server and I replied, though we offered up some other taco stands as alternatives. “Oh, well maybe I’ll ask some other people. Hey, have you ever met someone who’s published over 300 books?” Professor Kershaw asked us. “Nope, can’t say I have,” I replied. “Well now you have! The next time someone asks you, you can say that. And how about someone who has written over 1800 poems?” Professor Kershaw continued. “I’m going to venture to say that now I have?” I commented, and yes in a sarcastic manner. At that I laughed a little as did the server. And with that Professor Kershaw took himself out of the restaurant on to find other people to introduce himself to in his search for this illusive Spring Street Taco House. Well, at least my lack of morning coffee options didn’t leave me lacking in morning entertainment. A quick image search turned up this picture, but it’s definitely not the man I met. http://www.independent.co.uk/arts-entertainment/books/features/the-truth-behind-bravado-in-a-bunker-2351228.html. Though if it were Ian Kershaw, then the story would have been even better. Neat. The world can never have enough Ker *COUGH* Shaws.